Video collaboration has become a critical component of enterprise infrastructure, enabling teams to communicate efficiently regardless of their physical location. Essentially, video has made collaboration in the workforce more about contributions and less about coordinates—a feature especially relevant to our largely-remote team of 30+ here at V3 Broadsuite. We’re not alone. 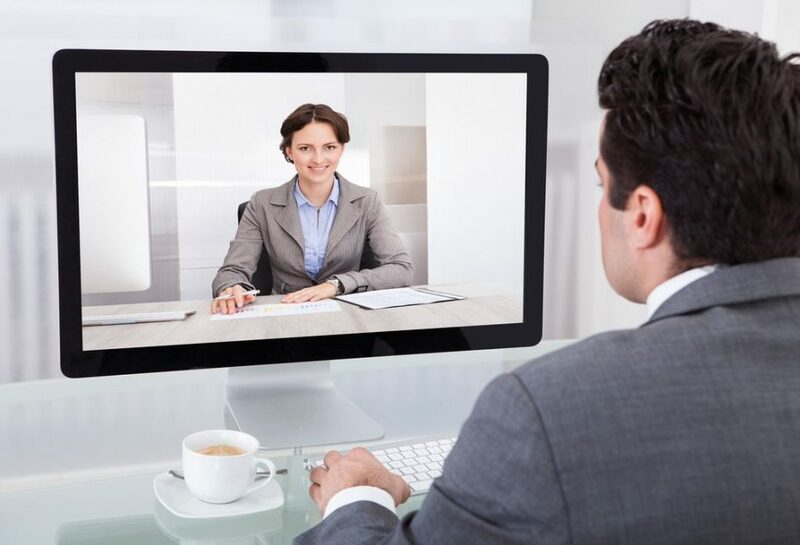 Video collaboration is growing more important for businesses of all sizes. Let’s explore the top five video collaboration trends to watch in 2017. Cloud integration will continue to grow. Some called 2016 the “year of the cloud,” and for good reason. Gartner projected the public cloud services market alone would balloon to $204 billion in 2016, and research director Sid Nag said in a press release that he “expects this [growth] to continue through 2017.” I don’t blame him. The workforce increasingly favors bring your own device (BYOD) environments, and many welcome the opportunity to edit shared documents, participate in team chats, or jump on video conferences without barriers tied to location, platform, or device type. The glue holding that functionality together is cloud: 2016 may have been its year, but 2017 is shaping up to be even better as cloud becomes not an option but the option for both enterprises and SMBs. Video will become the go-to method of communication for many. Email still matters in the business world—for now, that is. As collaboration platforms expand their reach, it’s becoming more efficient to send a colleague a real-time message in Cisco Spark, for example, than it is to send an email that may get buried in an inbox. For something even more immediate, initiating a video call within that collaboration platform—more on that in a minute—can make exchanges faster and more productive with less potential for time-consuming misunderstandings. For these reasons and more, video is uniquely poised to become the go-to form of communication for many in 2017. Video-enabled conference rooms will become the norm. Conference rooms no longer need webs of wires and heaps of hardware to be classified as “video-enabled.” Today, room-based videoconferencing is steeped in plug-and-play options, making it quick and simple to conduct video meetings in small huddle rooms or traditional boardrooms alike. Besides video, many in-room solutions also allow participants—even those logging in remotely to join colleagues personally in the room—to join in presentations, wirelessly share content, and more. The value of interoperability for video solutions will deepen. Many organizations rely on different platforms internally to accomplish different goals. For example, the tech footprint for an employee in accounting is likely different than that of someone in HR. These technologies may be different in form, but some level of interoperability is necessary for optimal productivity. This year, videoconferencing and collaboration tools will incorporate more shared functionalities or, if not, at least include an API option for IT teams to self-serve. Collaboration software with video capabilities will add more value to organizations. My colleagues and I don’t just talk about tech in the workplace—we use it. In fact, most recently we’ve been exploring the video and other collaborative capabilities of Cisco Spark. Spark includes video along with a host of other robust features, allowing teams like ours to get the face-to-face communication we need without having to leave our preferred platform. In this digital age where accessibility, user experience, and mobile friendliness matter as much to employees as they do to consumers, collaboration platforms that cater to our collective desire for video capabilities will add more value to organizations than those that don’t. There’s clearly a lot to watch in the world of video collaboration this year. I know what’s important to my team when it comes to video collaboration. What’s important to yours? What does your tech footprint look like, and do you expect to add more video capabilities to it in 2017? Tell me in the comments.